Colorado's senior population is growing at a rapid pace. It is estimated that the number of Coloradans over the age of 65 will reach roughly 1.2 million by 2030, up from 555,000 in 2010. Along with the 120 percent increase in our senior population, it is expected that Colorado seniors will live longer and require more economic resources to afford the services and care they need to age in place. With these factors in mind, the Colorado Center on Law and Policy has released the Elder Economic Security Index for Colorado. The report measures the income retired seniors in Colorado will need to meet their basic needs - food, housing, transportation, health care and miscellaneous costs. The Elder Index reveals that the income required among Colorado seniors varies significantly from county to county - between $17,268 and $52,776 a year - depending on their housing type, where they live, health care conditions and other factors. The median Social Security payments and income received by Colorado's seniors, while above the federal poverty line, often fall short of their county's basic income requirements-especially among racial minorities and women. Women and Hispanics in Colorado pay on average 58 percent and 61 percent of their monthly income on rent, respectively, indicating that they face significant housing costs relative to their incomes. Public assistance programs offered by Colorado and the federal government can help close the economic security gap, but the eligibility requirements and complexity of these programs can be daunting to a senior and should be reexamined to ensure they are accessible and easy to navigate. As Colorado's senior population continues to grow and the state's fiscal resources continue to be restrained by the constitutional amendment known as the Taxpayer Bill of Rights (or TABOR), the fiscal sustainability and availability of the services and programs available to seniors may be jeopardized. 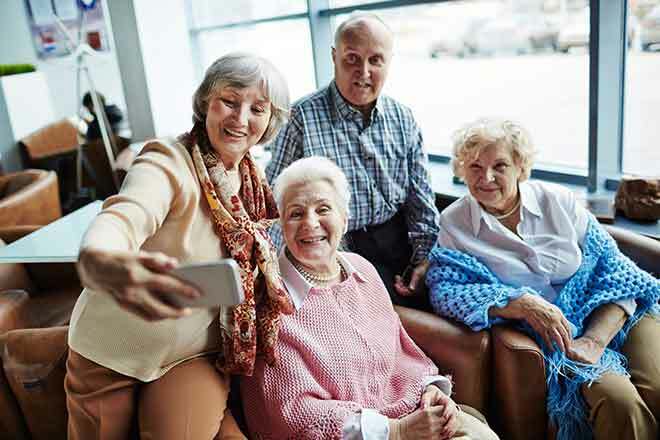 The state of Colorado is examining these important issues facing seniors, as seen with the impending policy recommendations from the Strategic Action Planning Group on Aging (SAPGA). Additionally, SAPGA is expected to release recommendations to prepare future generations for retirement and help close the potential economic security gaps they might face with the saving mechanisms currently in place. "We've released the Elder Index to inform Colorado policymakers about the critical economic security issues the state's aging population faces and to highlight the disparities in wealth accumulation between whites and non-white minorities," said Claire Levy, Executive Director of CCLP. "We believe that the path to self-sufficiency should be viewed as a continuum that doesn't end when one turns 65. We hope that the Elder Index will be a valuable resource and an impetus for conversations about how Colorado can best deal with not only the retirement boom that Colorado is currently experiencing, but also better prepare for future retirement generations down the line." The Colorado Elder Index was made possible by funding from the Colorado Coalition for Senior Economic Security. The Colorado Center on Law and Policy commissioned the Elder Index from the Gerontology Institute of the University of Massachusetts' Boston campus. The data presented was compiled using various government and industry sources as well as market rate studies regarding food, housing, transportation, health care and miscellaneous household costs. Read more on the Elder Index on the Colorado Center on Law and Policy's website at cclponline.org.